Feedback from several customers indicated that the rotec® Compressible Sleeve, with its consistent high-quality compressible surface, is an especially good fit for optimum print quality, combining screen and full tone printing within one color station. Due to the round, closed-cell polyurethane structure, the sleeve never loses the level of, unlike compressible tape. However, a perfect balance of hardness and compressibility is needed to achieve optimal printability that is different from job to job. Flint Group already has a range of Compressible Sleeve hardness levels available, but customer inquiries revealed the need for more options to achieve their quality goals. The Flint Group product development team set to work evaluating new advanced materials to expand the current hardness level options of the rotec® Compressible Sleeve. Flint Group is now proud to offer an Extra Firm rotec® Compressible Sleeve with a hardness level of 70 Shore A, in addition to the Medium (50 Shore A) and Firm (60 Shore A) hardness levels. Customers can now reach the next level of printability with the newly expanded range of rotec® Compressible Sleeves. 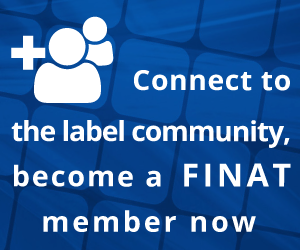 For more information on Flint Group and additional solutions for the printing industry, visit www.flintgrp.com or contact info.flexo@flintgrp.com.